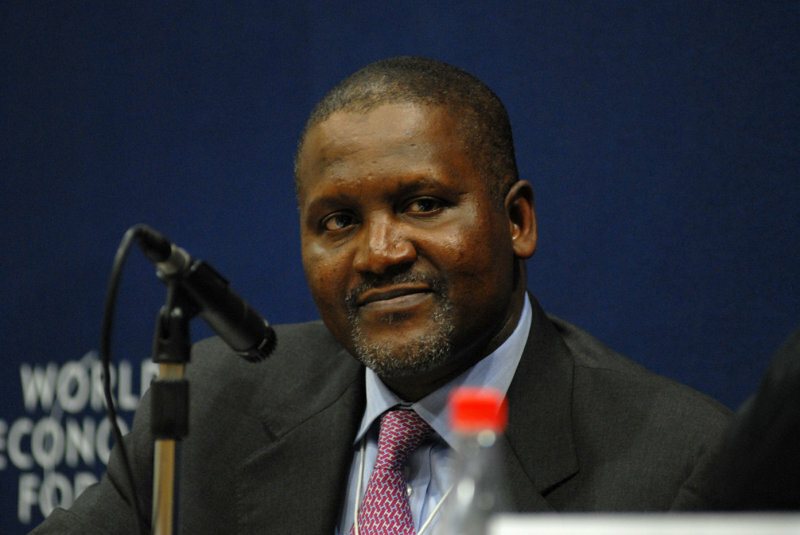 Africa’s richest person and the continent’s top donor, Aliko Dangote, has doled out about N30billion in humanitarian gesture within two years, a statement issued by the Dangote Group has revealed. According to the statement, the business mogul would be upping his philanthropic works across Africa, starting from his home country Nigeria. The statement quoted Alhaji Dangote as saying, “About this philanthropy, I think from this year, I personally want to take it very seriously. I want to be much more aggressive than what we have had in the past. The statement said in Benue State alone, the group has been running an annual scholarship scheme worth 10million to indigenes of Gboko communities. It said that, in Benue State, 15 villages were electrified at the cost of N115million, adding that 14 blocks of classrooms have been constructed for the community around the company at the cost of N84billion. It added that 19 boreholes were constructed for the communities and that an earth dam valued at N50million was also constructed. The statement said that apart from the monthly payment of allowances to traditional rulers, a vigilante contract to ensure N2million regular income to the community was also instituted. “We have also donated N15million to the community’s development foundation, and we are helping through the community empowerment scheme, while our 100-bed hospital has been approved for construction within the community,” it added. It in addition to N78million compensation paid during the takeover of the company, an additional N60million inconvenience allowance has been paid to families. This is including the Dangote Academy that is worth about N1billion, through which manpower is developed across various disciplines. The statement said that, last month, the Dangote Cement, Ibese, through the Dangote Foundation, announced a scholarship for 50 students of various secondary and tertiary institutions in Yewa community. It further disclosed that the foundation donated $500,000 to victims of explosion in the Republic of Congo and contributed a staggering $2million to flood victims in Pakistan and another N120million to cushion the effect of famine in Niger Republic. It said that, two years ago, the foundation made a staggering donation of N2.5billion to cushion the effect of flooding in Nigeria, the single highest donation by a private body in the history of Nigeria. The Foundation also donated N430million to flood victims, unemployed youths and women in Kogi State in the same year. It further emphasised that, three years ago, the Foundation gave out about a billion naira for the economic empowerment of women in Kano State, just as it recently donated N540million to vulnerable women as a result of insurgency in the north-east of Nigeria. The statement maintained that the Foundation has also pumped over N1billion into the rehabilitation of some Nigerian universities, as part of its contribution to the education sector. “Two months ago, the Dangote Foundation donated 12 trailer-loads of relief items worth N40million to support the government in bringing succour to victims of communal clashes that displaced people,” the statement noted, adding that the group had also donated N100million to victims of Lagos flooding, another N100million to those in Sokoto and N60million to victims of flooding in Oyo State, two years ago.